The Resistance has a hairy new member, said Jake Blumgart in CityLab.com. When the Philadelphia Flyers hockey team unveiled Gritty, a hellish-looking orange beast with a deranged grin and maniacal googly eyes, as their new mascot last month, the immediate reaction was “universal ridicule.” Twitter users compared Gritty to a meth-addicted Muppet, and Stephen Colbert joked that Gritty “looks like if Ed Sheeran exploded.” But in this hyperpoliticized era, when left-wing activists looked at the unkempt, long-haired Gritty, they saw “a dyed-in-the-wool Bolshevik.” Gritty memes depicting him as an antifa protester have flooded the internet, with the socialist magazine Jacobin even declaring that “Gritty is a worker.” When President Trump visited Philadelphia earlier this month, demonstrators carried Gritty banners, including one showing Gritty savagely biting off Trump’s arms. “Keep your Marxist hands off Gritty,” said Jillian Kay Melchior in The Wall Street Journal. The Flyers’ gleefully demonic mascot is perfect for the “gritty,” blue-collar City of Brotherly Love, where police had to coat the streetlamps with industrial lubricant to keep unhinged Eagles fans from scaling them after this year’s Super Bowl victory. 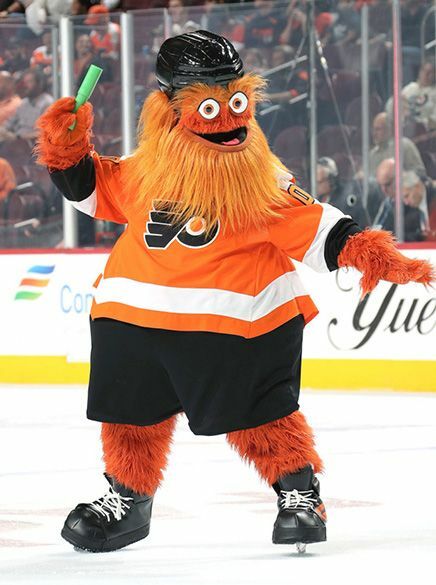 Gritty should belong to all Philadelphians, but leftists insist on politicizing everything—even goofy team mascots. Since Gritty looks like “an unshaven deplorable,” said Ian Crouch in NewYorker.com, he could just as easily have been appropriated by MAGA hat–wearing Trumpists. That’s how the culture war works now. “Skirmishes are fought on every field.” Once it became obvious that Gritty was going to become a meme, “the race was on to make him woke” before he went alt-right.